Just before take-off, pilot Jeff Bennett makes sure his precious cargo is safe ... in their crates. Bennett is not your typical pilot. 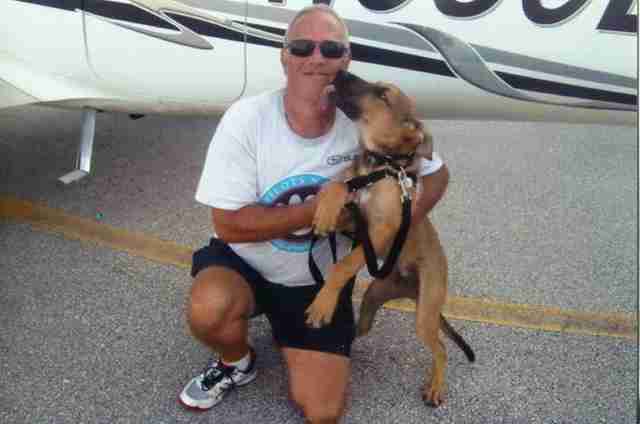 He volunteers for Pilots N Paws (PNP), a national nonprofit that provides free transportation for any animal who has a home waiting. "We widen the field where adoption can take place," Kate Quinn, PNP's executive director, told The Dodo. 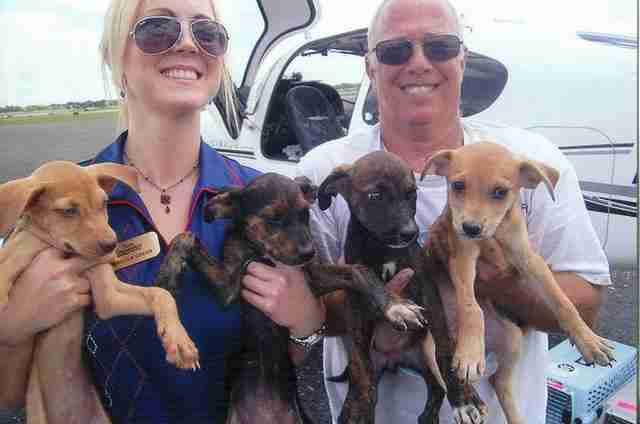 PNP was founded in 2008 and has more than 5,000 volunteer pilots who fly more than 15,000 rescued animals every year, and not just dogs and cats. 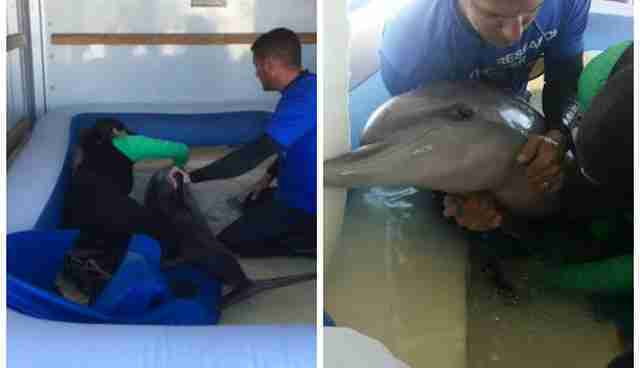 Birds, donkeys, snakes, pigs and even a dolphin have flown, the latter using an inflatable pool, inside cargo planes. The organization has flown close to 100,000 animals, according to Quinn. It's up to the pilots to decide which flights to take on and how often to volunteer. "I always have a talk with my pregnant moms," Bennett told The Dodo. "You will not have your puppies on this plane." He once transported a pregnant dog who gave birth later that evening, just after he dropped her off. Another pilot helped transport a bear cub named Cinder whose paws were severely burned in a wildfire on the West Coast. She was found crawling on her arms and legs by a homeowner. A PNP pilot flew the bear to receive medical treatment. 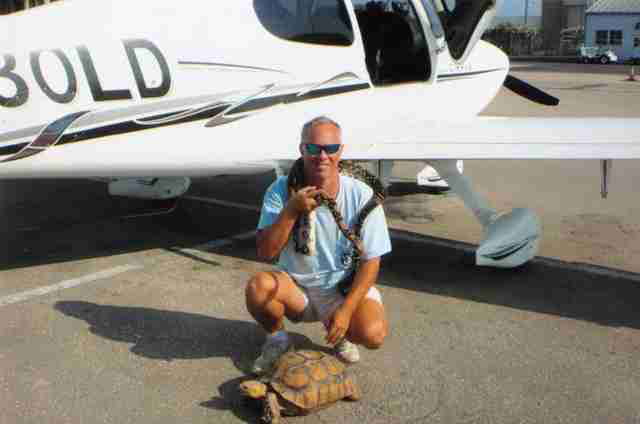 To date, Bennett has flown almost 5,000 animals, even working with the Coast Guard to help bring sea turtles to the Southeast from the Northeast because of temperature changes in the Atlantic Ocean. Based in Florida, Bennett started flying for PNP in late 2008. He tries to do two monthly flights. Pilots schedule themselves on a web board where they mark down how many miles they are willing to fly, along with a region - Bennett allows for 450 nautical miles. If a rescue group posts an animal needing transport in his radius, he will receive an email and decide if it is within his territory. 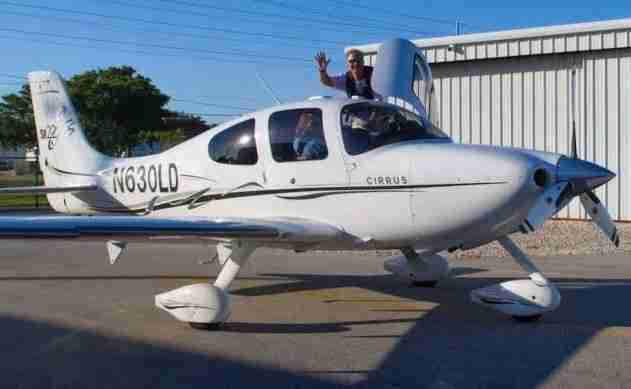 If not, other pilots in the area receive emails and decide if they can make the trip. Pilots can also scan through postings and even choose to fly outside their designated territory. "I primarily work with one group in Alabama [Alabama Rescue Relay] because they always fill my aircraft," Bennett said. "I post it on Facebook that I'm making a transport on a particular day." He will ask if anyone in the state needs to get a dog transported north, and then he'll bring back dogs to where they need to go. 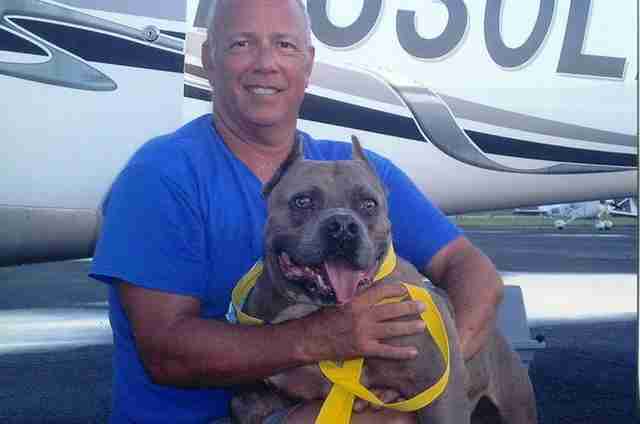 He also works with a number of other rescues in Florida that have high numbers of adoptions. "It is all volunteer, so I can look at a posting and decide yes or no," Bennett said. "Pilots want to be in the air, and I can do some good at the same time." The night before a flight, Bennett checks the weather. 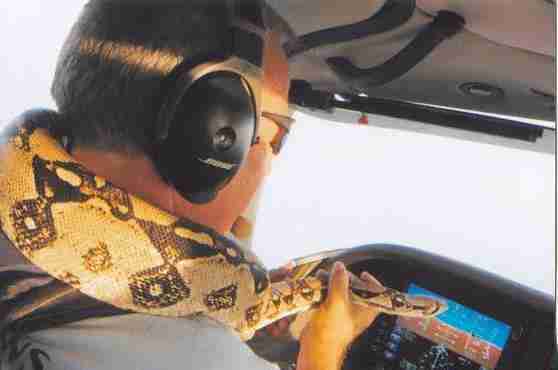 He goes through his preflight checklist in the morning. "I'll go around and make sure all hinges and bolts are where they belong," he said. He checks fuel, oil, lights, tires and gives the plane a good once-over. He usually loads the animal crates and prepares the flight plan the night before. When he lands, rescue or transport personnel are usually waiting with dogs (or other animals) for loading. Most are going to rescue groups or have been pre-adopted. 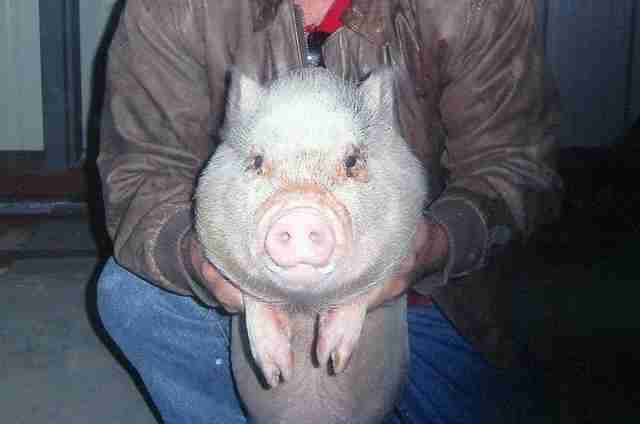 "I take a photograph of every animal I transport for the IRS," Bennett said. The rescued animals are then loaded onto the plane, and Bennett takes off to deliver them to their new destination. A kinkajou is the most unusual animal Bennett transported. "We have these people who take these exotic animals in Key West and offer tourists to take photos with the animals," he said. 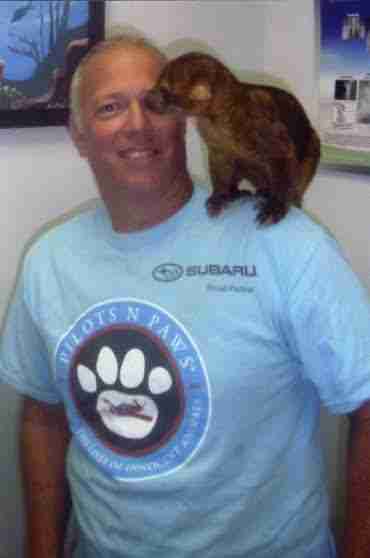 "The kinkajou got away from the guy. His tail got injured and they had to amputate the end of his tail. 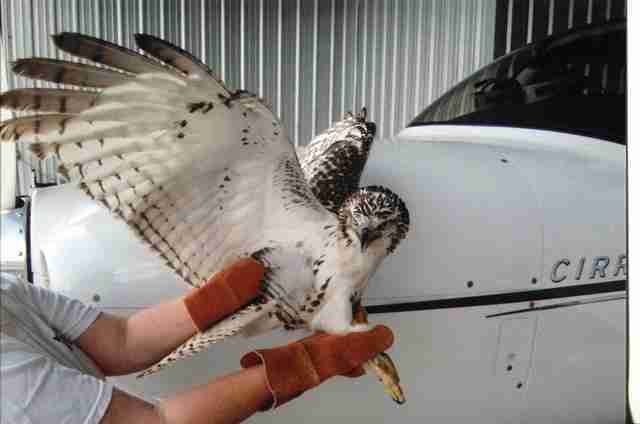 After surgery, and after he had healed up, I was asked to fly him to a wildlife refuge." Although most flights take off without a hitch and the animals mostly go to sleep inflight, transporting animals can often make for great stories. "I've been laughed at by the tower," Bennett said. "You push the talk button and a lot of times dogs are barking." "I've had two crates that were eaten by the dogs [who] were in them," Bennett said. "One kitten surprised me by escaping and sat on my shoulder." 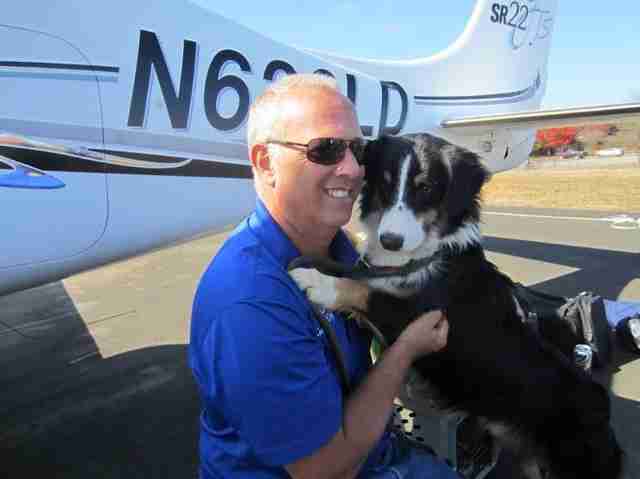 A border collie who was handed off to another pilot in a taildragger (a type of plane where the third wheel is in the back of the plane) slipped out of his harness. 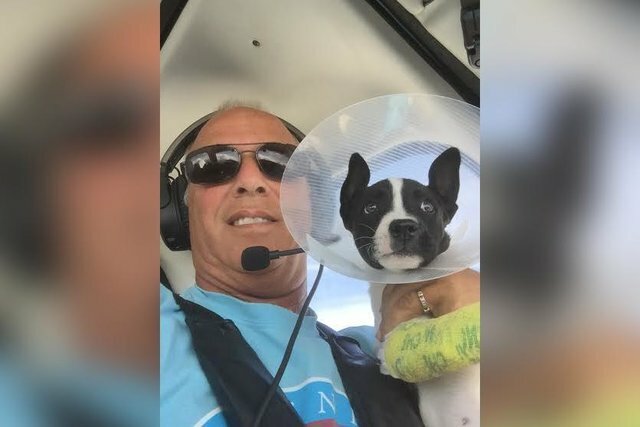 "He sat in the copilot seat and put his paws on the dash, and flew that way for two hours," Bennett said. Sometimes bad weather will defer a flight but it does not deter Bennett. "I have the ability as I am retired and have a cargo van that I would scrap flights and drive 1,600 miles," he said. "I have had a number of ground transports that way. The most I ever moved in my van was 126. My last one I did was 81 dogs. It's a two-day trip. It bothers me to know animals are going to get euthanized for lack of transportation. We have to keep things flowing so these animals don't get euthanized for lack of space." 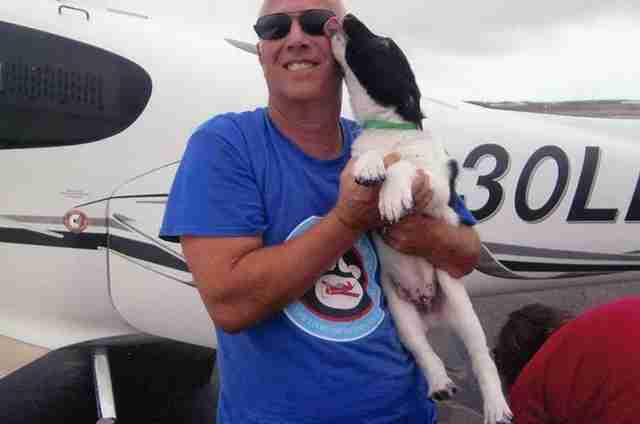 Bennett, who has four dogs of his own, said the one thing that most of the volunteer pilots agree on is that they want to be put out of business. "I get a lot of satisfaction out of what I do," Bennett said. "I get to see dogs completely shut down when I pick them up, and then come out of their shell at the other end after a two- or two-and-a-half-hour flight. I've seen it so many times now that there might be something to it - that dogs know they've been rescued." 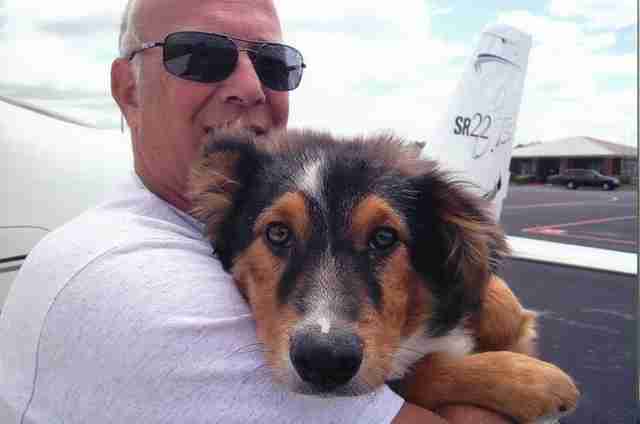 If you're a pilot and want to volunteer to fly for Pilots N Paws, or if you want to donate, go here.